WoW, wouldn’t it be great to spend those last moments of 2010 in Paris, city of light? Well, the next best thing is to enjoy the pictures of my top 10 of the finest postcard views of this amazing city! 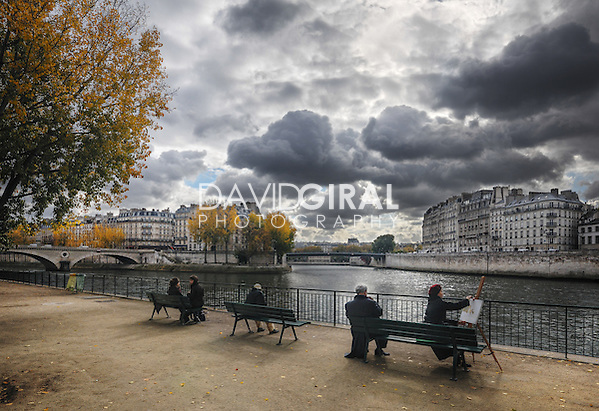 Before we start, if you’d like to get the chance to win a print of those photos of Paris, I would highly suggest to sign-up on the website before it’s too late. There is a monthly print giveaway! 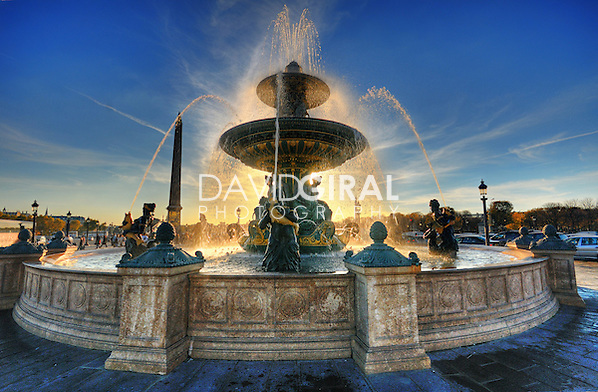 This picture shows what happens when the sun is hidden behind the Place de La Concorde Fountain , it’s a golden moment. The clouds on this photos are truly spectacular and the light of the end of the afternoon makes for amazing contrasts. This picture was taken from Place de la Concorde and show an interesting perspective of Rue Royale towards Place de la Madeleine. A 13 seconds exposure was enough to capture the car trails. 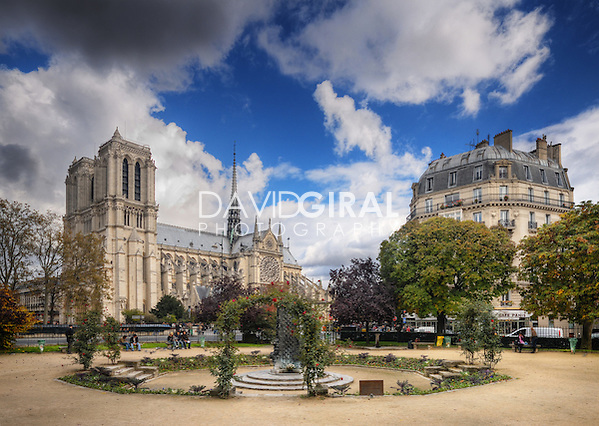 This one is one of the most romantic place and has seen a lot of lovers announcing their engagement their, just a few hundreds meters from Notre Dame De Paris. 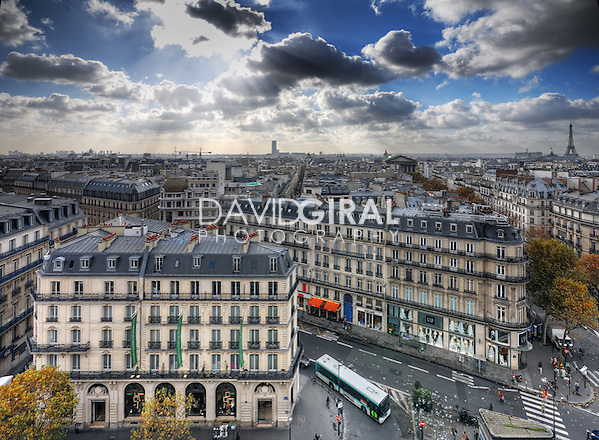 This is an unusual view of Paris, taken with a wide angle lens from the last floor of the Printemps store. The beautiful cloudy sky makes for a really interesting shot! Taken at the same moment as photo number 02, this is what happens when the sun sets after a storm in Paris. 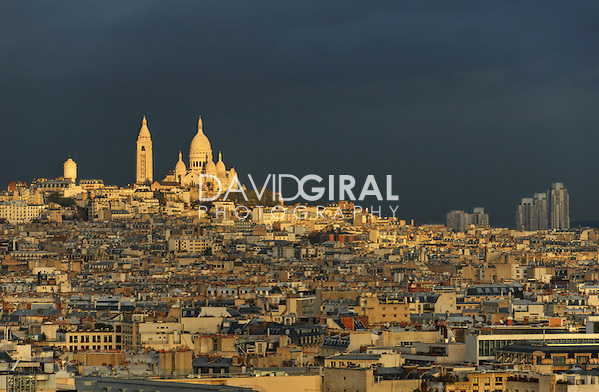 The mix of dark grey and the golden roofs of Paris make for a wonderful contrast! Oh, I almost forgot: First time buyers receive an automatic 15% discount (use FIRSTBUY11) on their first prints so sign up (minimum of 70$)! This one is particular because of the human dimension to this photo. 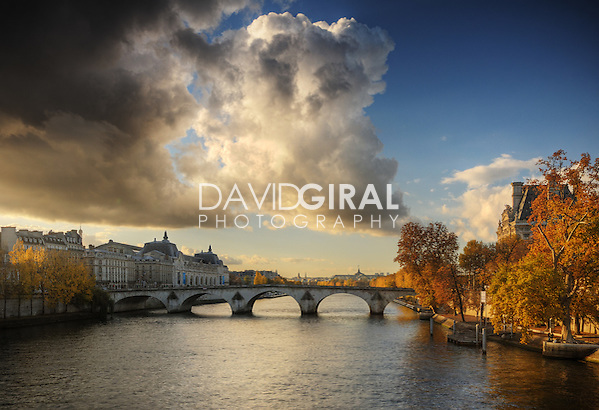 The lighting of this beautiful afternoon of October was both soft and dramatic, perfect for a postcard of Paris. 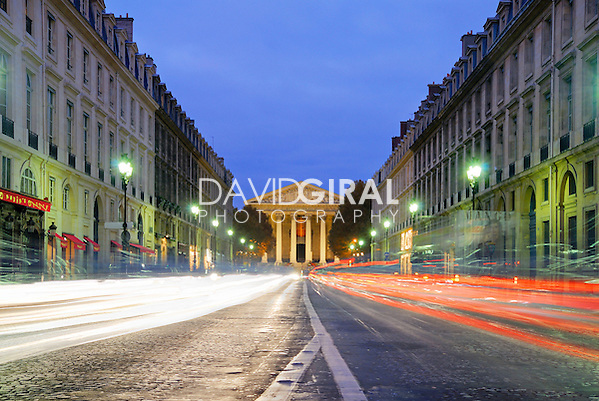 This is one of my most recent pictures of Paris, it was taken a clear and crisp evening of March at rush hour. 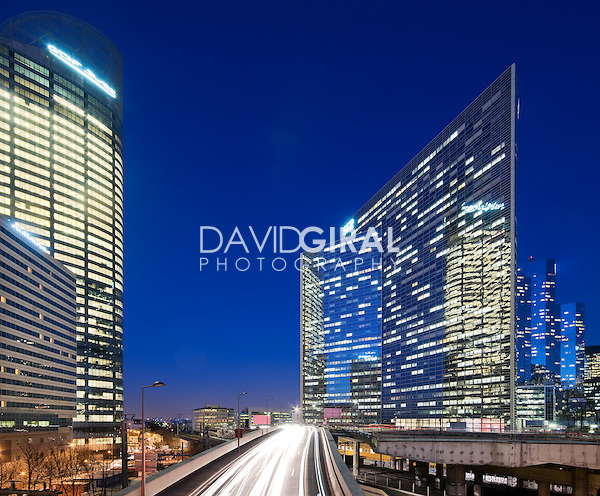 My favorite details about this photo are the rays of lights and the reflections between buildings. This photo features one of the most beautiful golden sunsets. It was taken an evening of December, during a stormy afternoon from the top of Arc de Triomphe! Some may prefer the previous one however this photo is still my favourite photo and postcard view of Paris. 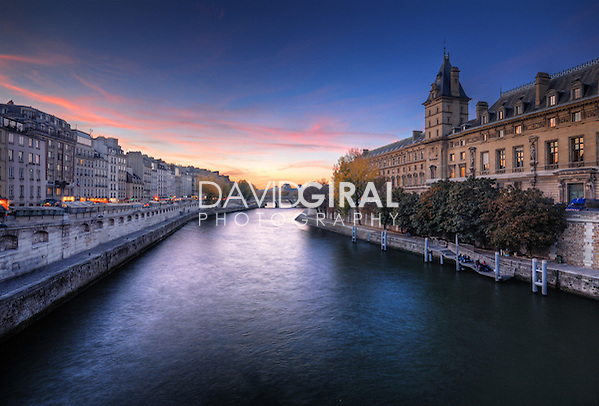 It shows an amazing sunset light over La Seine and beautiful purple tones throughout the picture. Wow some great photos there! 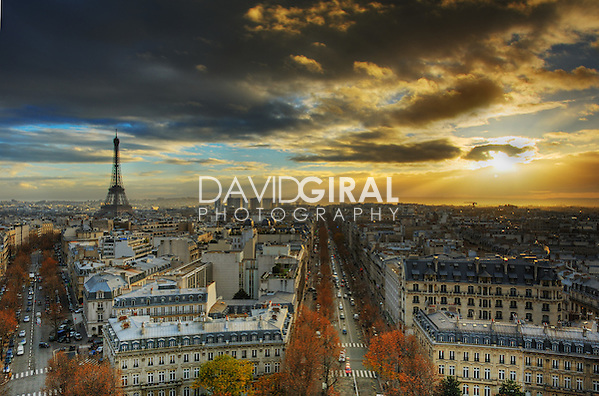 Am into HDR’s as well and mainly in Paris (well that’s where I live). BTW on your photo seminar in Paris the top 5 photos can be submitted to http://photographyofparis.com and the winners can get a link back to their site – free. interesting! will take a closer look asap!